I heard about this amazing bottle in an interview on the BBC World radio the other day with the inventor, Michael Prichard. 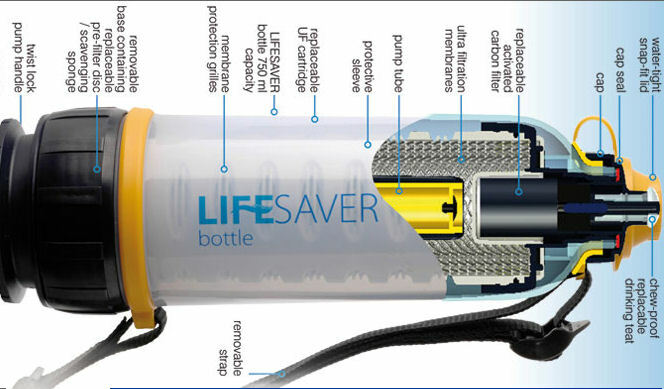 He is the genius that created a bottle that makes contaminated water safe to drink. He had calculated that it is cheaper and quicker to air drop these bottles into disaster areas than the cost and logistical problems of getting bottled water to the survivors. The number of bottled water per person for 30 days is a staggering number – compared to having one lifesaver bottle per person.